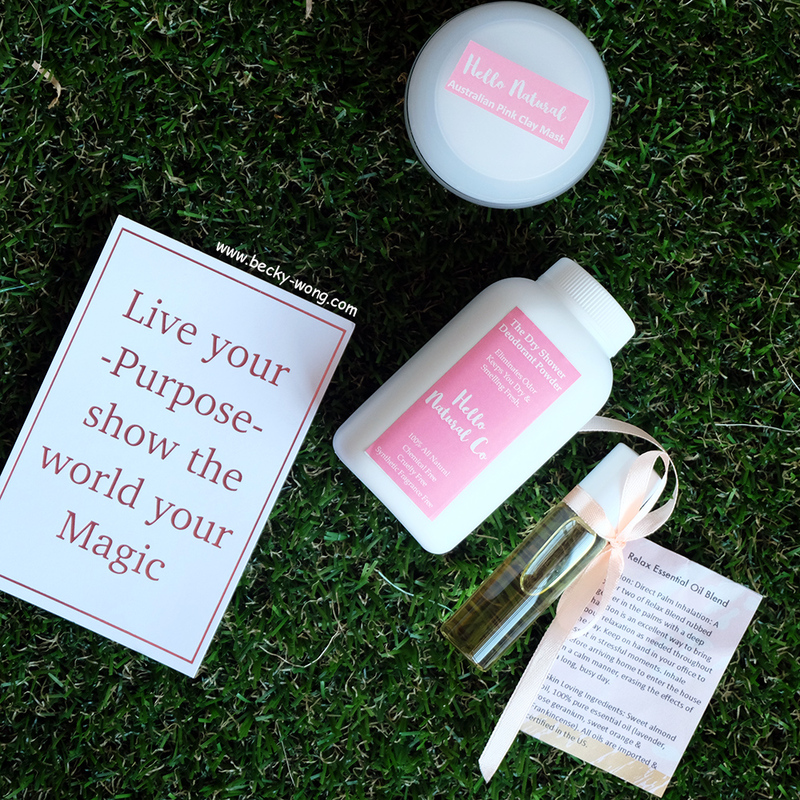 I love experimenting and trying out new beauty products, especially when they are handcrafted. 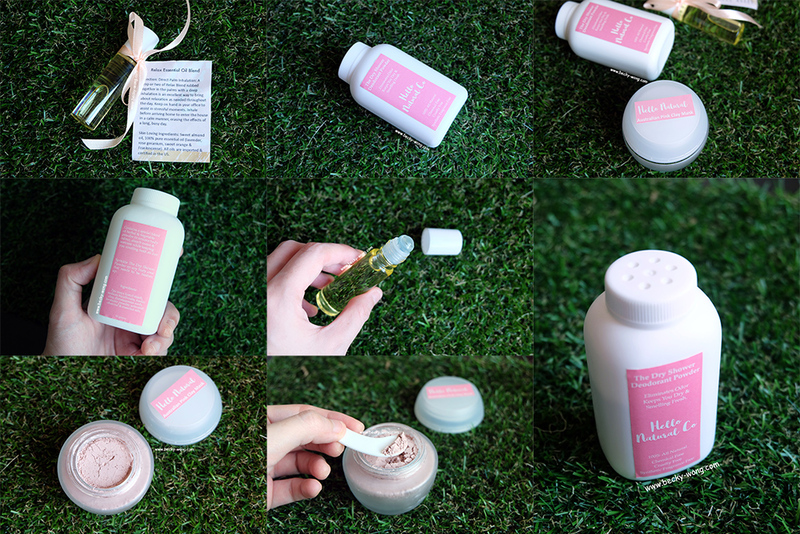 In my quest of exploring local handcraft skin care, I came across Hello Natural. 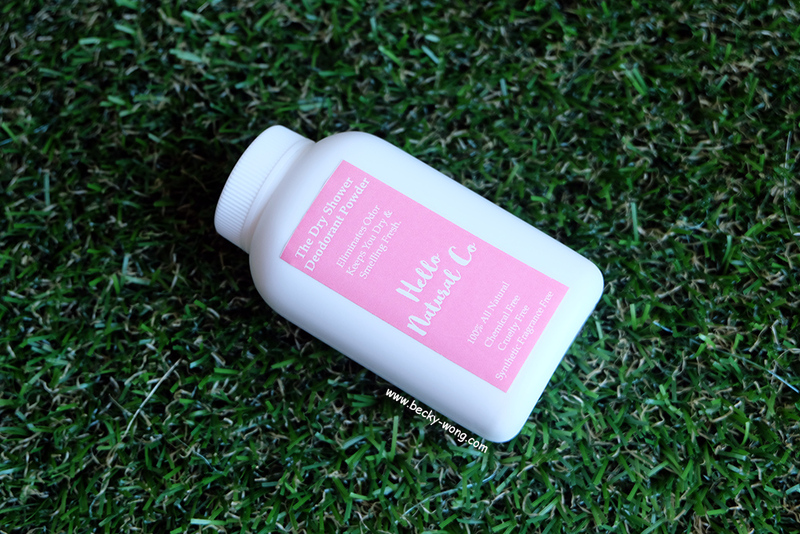 Hello Natural doesn't not have a huge range of products, but they put lots of care and thoughts when it comes to their products. Their products are made with all natural ingredients, no harsh chemicals and it is cruelty free. On top of these, Hello Natural is Malaysia's first active charcoal-infused natural deodorant and dry hair shower. 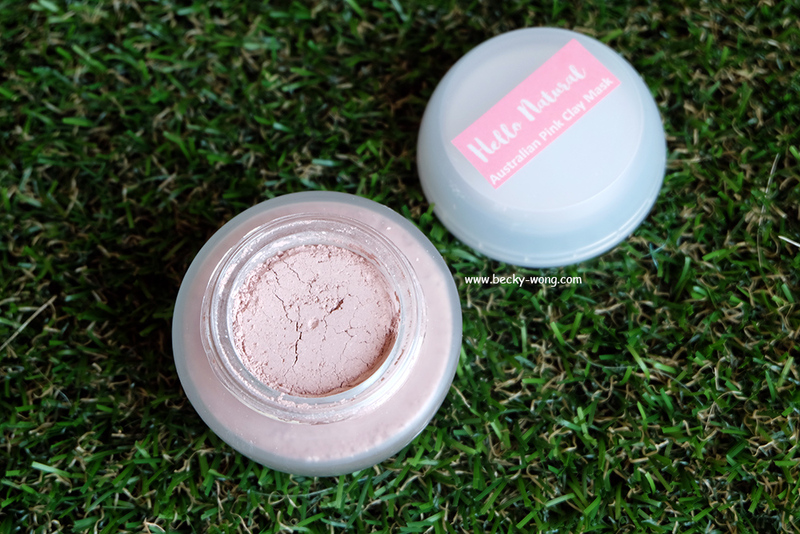 The packaging is simple and the pink tone gives a slight feminine touch to the product. 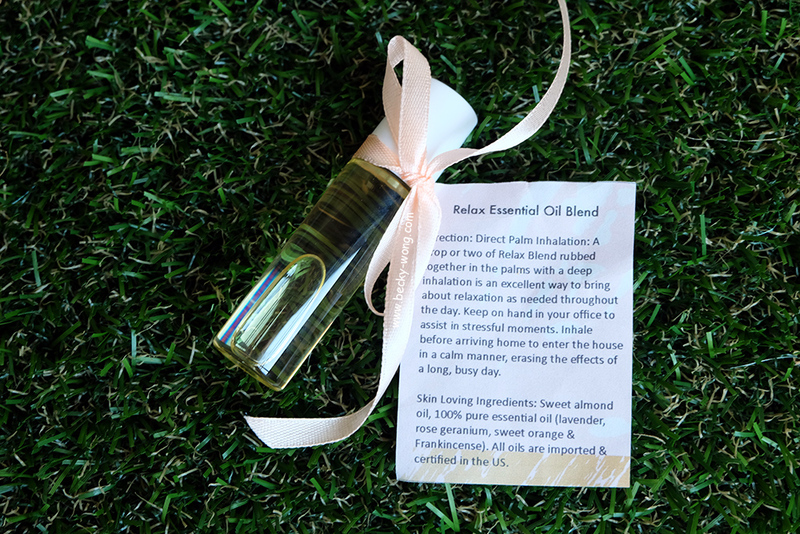 Relax Essential Oil Blend (RM 39.95). It's no secret that essential oil has many benefits and it has been used for more than 5,000 years as natural remedies for various conditions and also to improve the health of skin, hair and body. Hello Natural's Relax Essential Oil is made up of sweet almond oil, and 100% pure essential oil (lavender, lemongrass, frankincense, rose geranium, and sweet orange) which are imported & certified in the US. The essential oil has a nice sweet smell but isn't too overpowering. For someone who really doesn't like sweet fragrance, this is perfect! 1. Roll the applicator ball across the palms several times & rub palms together and massage onto your neck & shoulder for anxiety relief. 2. Rub onto the bottoms of your feet. The sweet almond oil will leave your skin softened and the relax essential oil blend will relax your mind. This is perfect for anytime, even just before bed! 3. 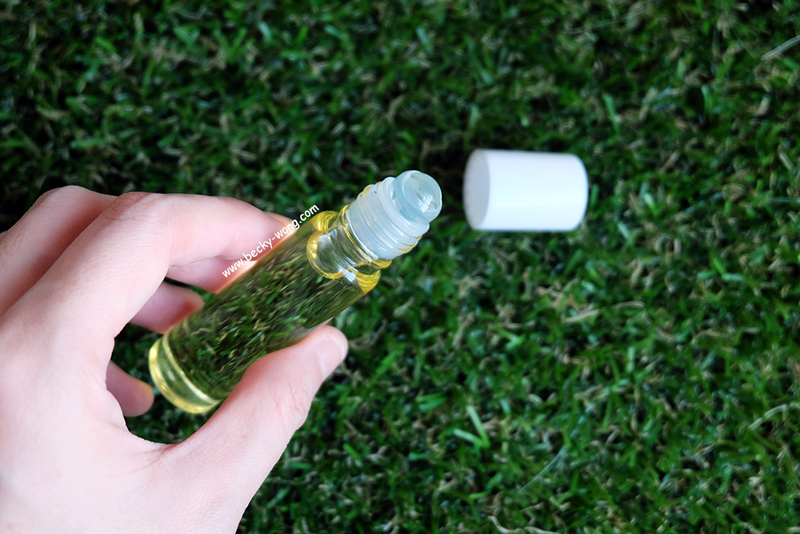 Direct palm inhalation - Rub a drop or 2 of the essential oil together in the palms with a deep inhalation is an excellent way to bring about relaxation as needed throughout the day. 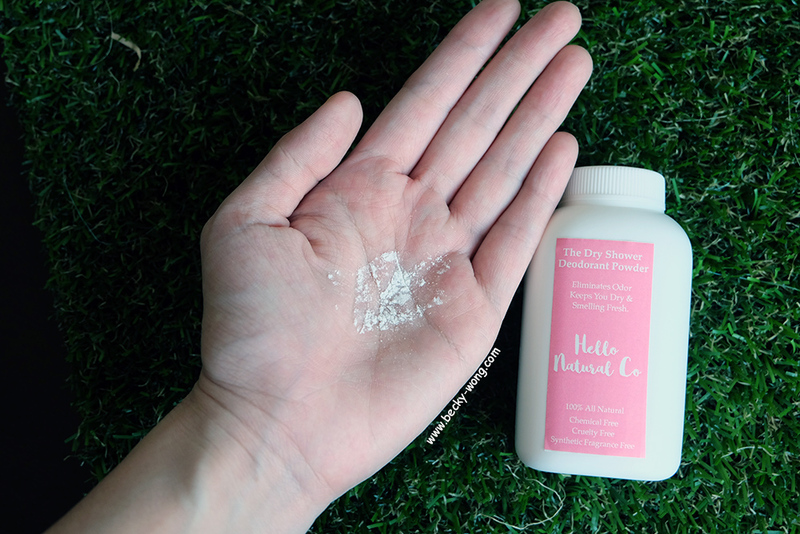 The Dry Shower Deodorant Powder (RM 39.95). 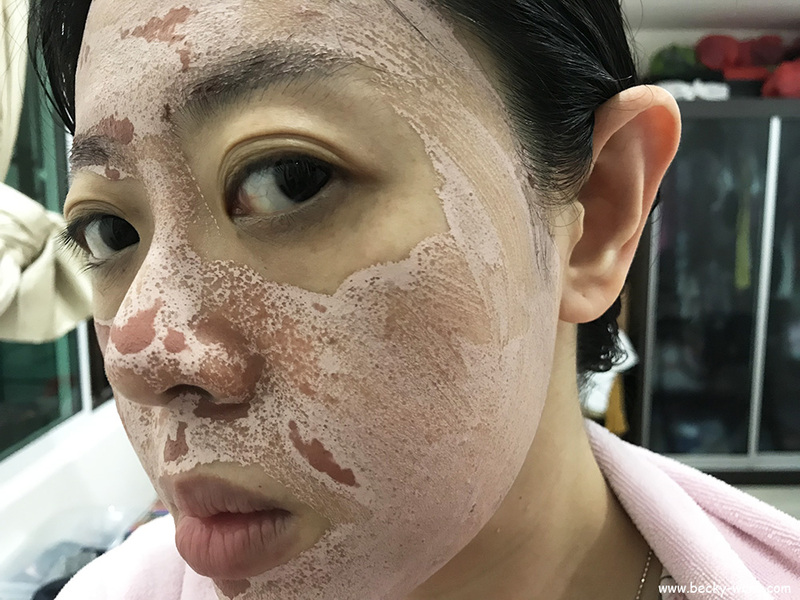 Malaysia is a tropical country and we get to enjoy the sun-shiny weather all year long, but at the same time, but constant sweating is also something most of us have to deal with daily too. If you are a "sweater" like me, then you'll know the importance of a good deodorant, and thank God I found one with Hello Natural Co. The deodorant is handcrafted with different blend of herbs and natural clays: Sodium bicarbonate, Zea mays (corn) starch, Kaolin clay, Diatomaceous earth, Lavender powder, activated charcoal and essential oils. The bottle actually kind of reminded me of a baby powder bottle. Since it's a dry shower deodorant powder, the texture is slightly coarse and not as fine as the usual body powder. I really love the mild floral lavender scent, and although it is written as dry shampoo deodorant, you can actually use it on your entire body including keeping those feet smelling fresh! I tried it at my underarms and I find it to be very refreshing. 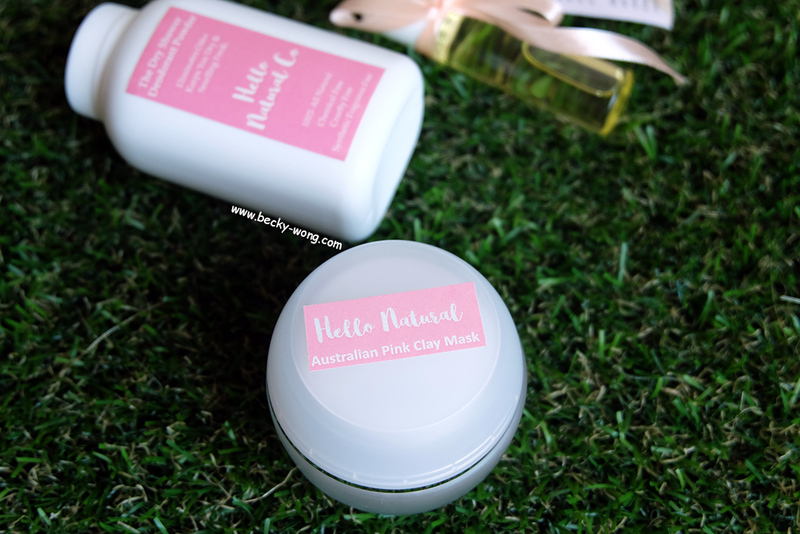 Australian Pink Clay Mask (RM 39.99). The clay mask is a 100% natural & chemical free face mask that soothe, calm & rehydrates the skin perfectly. 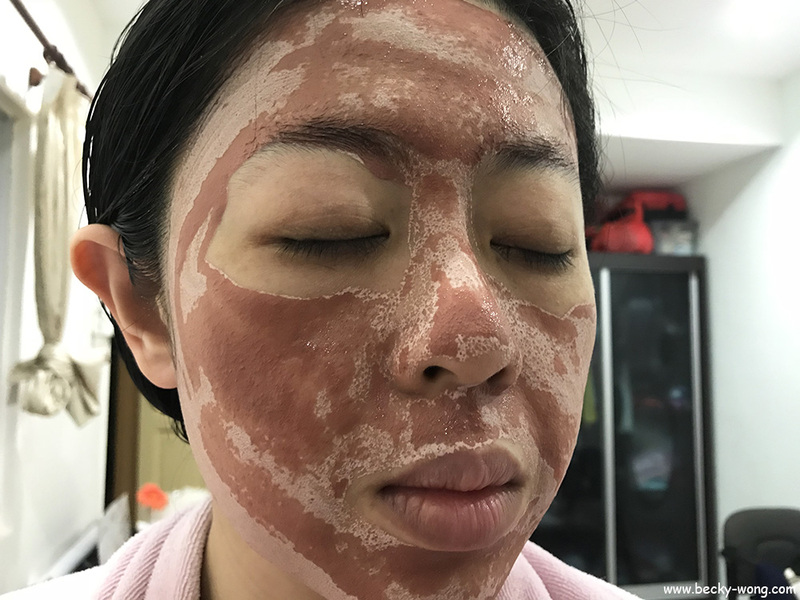 The mask is said to not only firms and detoxifies the skin but also helps to cleanse and remove stubborn sebum clogging the pores, which gives the skin a clearer and healthier complexion. 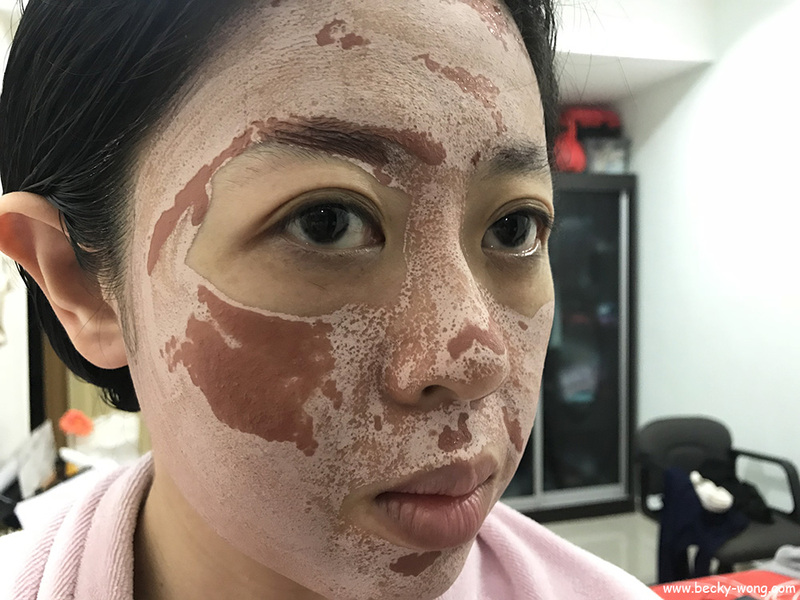 The pink clay also balances the oil and water levels for a healthier vibrant complexion, while the hydrating properties help to refine delicate lines, moisturize and improve the overall skin complexion. 6. Use this once a week. 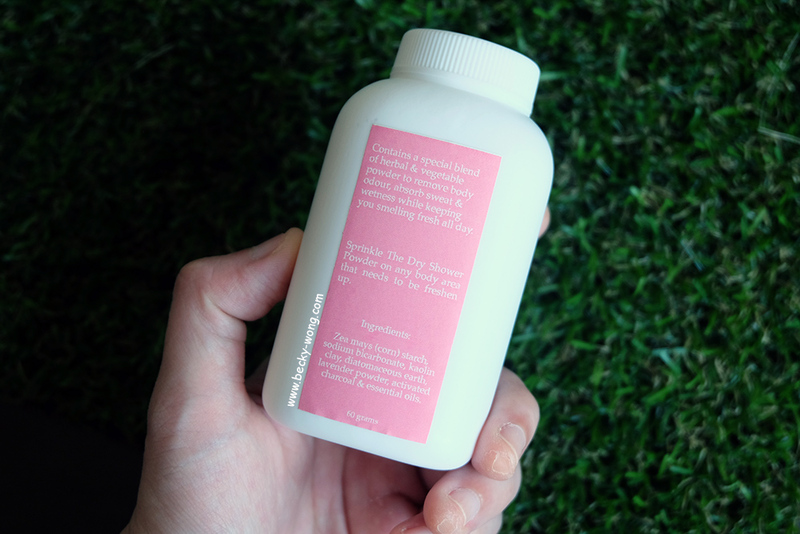 You can choose to mix your clay mask with water, toner, yoghurt or even ampoule, if you'd like. I like to mix mine with toner, but sometimes I'll just use water only. 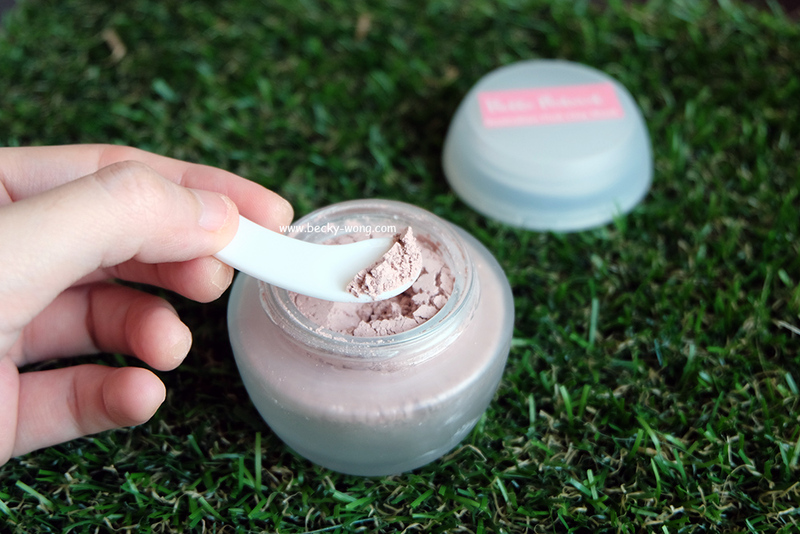 If you are unsure how much to mix into your clay mask, I'd recommend you use the mini spoon to add them bit by bit into the mask. You don't want to add too much, as this will make the mask too runny to apply. Also, use a brush to apply the mask instead of your fingers, as it is much easier and more hygiene. The clay mask smells SO GOOD with the Lavender scent!!! I feel so relaxing while using the mask. I've tried several clay masks and I always find them to be quite difficult to rinse off. It will usually require me to do a few rounds of cleansing to thoroughly remove the mask on my face. However, the clay mask from Hello Natural is so easy to remove, and it didn't leave any residue on my face. I totally love this clay mask! Overall, Hello Natural Co. has certainly delivered in products I've bought. If you are looking for natural hand-made skin care products, Hello Natural Co. is a good choice. 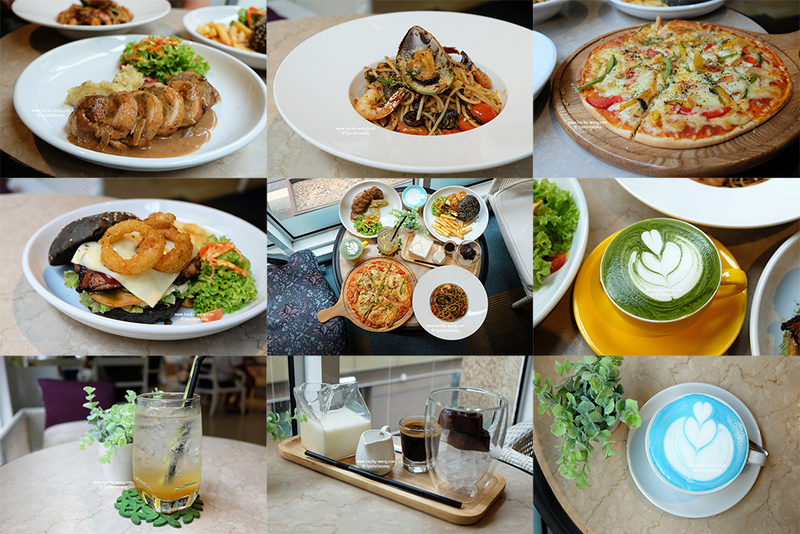 To know more update on Hello Natural Co., check out their Website, Facebook and Instagram.